To encourage more kids to smile everyday. To promote self-confidence and excellent oral health habits in all of the children that we treat. To treat your children as we would treat our own. 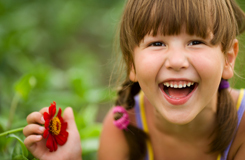 To provide a peaceful, fun and stress-free dental experience for kids and adults. To serve the community in which we live. To continuously improve our dental services for you.